Our New Jersey law firm defends attorneys charged with violating RPC 8.4(c) – conduct involving fraud, dishonesty, deceit or misrepresentation. Depending on the nature of the misconduct, the attorney’s prior ethics history, and other factors, an RPC 8.4(c) violation will often result in discipline ranging from a reprimand (a written letter that becomes a permanent part of the attorney’s record), temporary suspension, and in severe cases permanent disbarment. In the information technology age, an RPC 8.4(c) violation can have devastating effects on an attorney’s reputation and practice. 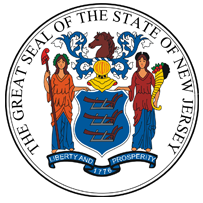 In fact, numerous websites actively report on attorney disciplinary proceedings in New Jersey, and the New Jersey Law Journal publishes attorney disciplinary orders entered by the New Jersey Supreme Court. A disciplinary record may also negatively affect an attorney’s ability to gain pro hac vice admission in courts in other states. When faced with an ethics grievance involving a claim of fraud, dishonesty, deceit or misrepresentation, it is imperative to hire qualified counsel from the outset of the grievance filing. In some instances a formal Complaint can be avoided during the investigation stage if the Office of Attorney Ethics is convinced that either no violation occurred or that the burden of proof cannot be met to sustain an RPC 8.4(c) violation. The Office of Attorney Ethics is required to prove allegations of misconduct by clear and convincing evidence, the highest burden of proof in civil proceedings. Simply because an attorney makes a mistake doesn’t necessarily mean that he or she should be charged with an RPC 8.4(c) violation. In fact, to sustain an RPC 8.4(c) violation requires proof of intentional misconduct. See, e.g., In the Matter of Marc A. Calello, DRB 05-304 (March 24, 2006); In re Prothro, 208 N.J. 340 (2011) (attorney violated RPC 8.4(c) by knowingly making a false statement to a disciplinary authority); In re Trustan, 202 N.J. 4 (2010) (attorney violated RPC 8.4(c) by knowingly making false statements to a third party and offered evidence he knew was false); In re Stahl, 198 N.J. 507 (2009) (attorney violated RPC 8.4(c) where he knowingly made false statements to a law tribunal and offered evidence he knew was false); In re Marshall, 196 N.J. 524 (2008) (attorney violated RPC 8.4(c) where she assisted her client in conduct she knew was illegal or fraudulent, and made a false statement of material fact to a third party); In re Tan, 188 N.J. 389 (2006) (attorney violated RPC 8.4(c) by knowingly making false statements on his bar application). Absent evidence supporting a finding of intentional misconduct, this Court has declined to impose discipline pursuant to RPC 8.4(c). See, e.g., In re Uffelman, 200 N.J. 260, (2009) (imposing discipline based upon RPC 1.1(a), RPC 1.3 and RPC 1.4(b) after DRB dismissed RPC 8.4(c) charge in the absence of a finding of an intent to misrepresent); In re Seelig, 180 N.J. 234, 244 n. 6 (2004) (noting the DRB majority’s conclusion that the respondent “could not have violated RPC 8.4(c) because he withheld information about [his client’s] indictable offense in good faith. Respondent’s belief that he was acting ethically ‘precluded a finding that he intended to deceive the court.’ ”). Partner Glenn R. Reiser has successfully defended New Jersey lawyers charged with violating RPC 8.4(c). Mr. Reiser will evaluate your case and determine whether there are valid defenses to the RPC 8.4(c) charge, and will vigorously defend your rights during the investigation and at trial if a formal Complaint is filed. Contact our New Jersey professional ethics counsel to discuss your ethics grievance.